NOW Foods Rice Bran pack is prepared from bran of rice that is rich in nutrition. It makes every meal healthy. This rice bran also contains a pleasant flavor which makes the dishes tastier. You are going to look forward to mealtime every day and there are various ways of using rice bran. Add them to your breakfast cereal, blender drinks, muffin or pancake mixes, breads, salads and yogurt. 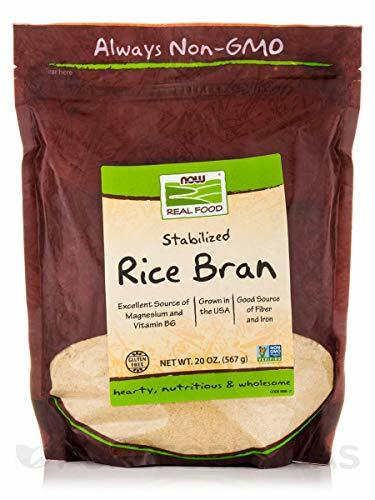 Make way for the healthy and tasty NOW Foods Rice Bran during mealtimes and bring something new and healthy to the dishes you serve with you own innovations or regular recipes. Essential Elements: This product contains bran of rice that is rich in nutrition and makes every meal healthy.